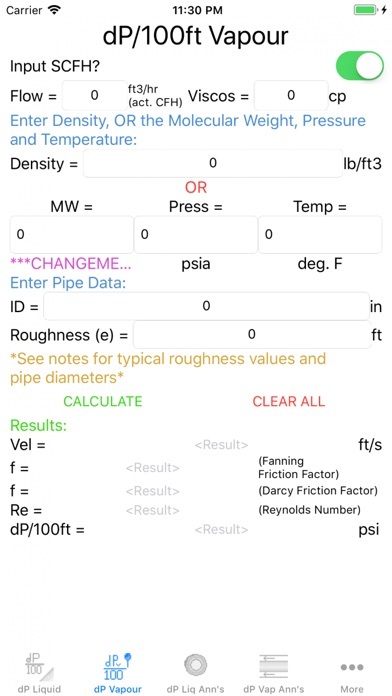 Please note that this app is still in development to increase usability. 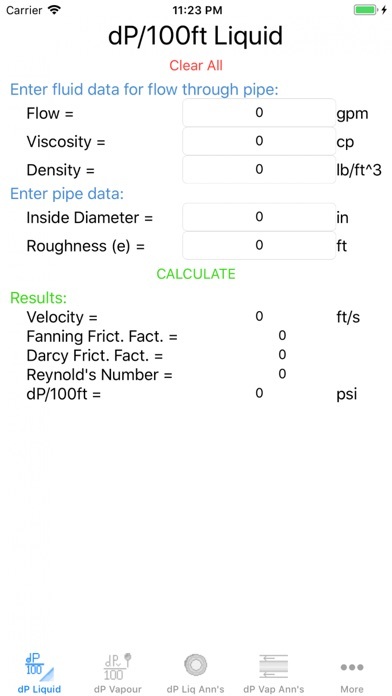 Calculate the change in pressure of a flowing fluid over 100ft of pipe. 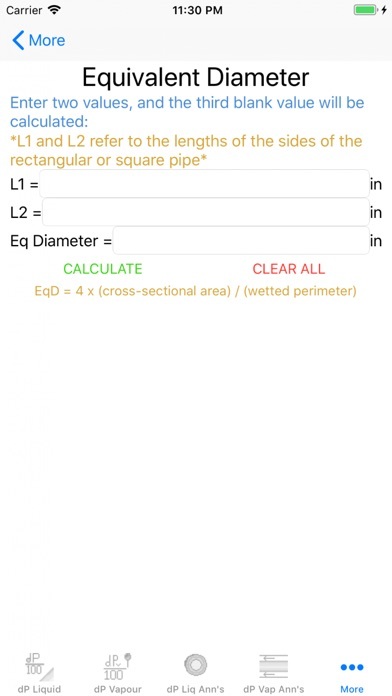 Includes calculations for both liquids and vapours, with or without annular methodology. 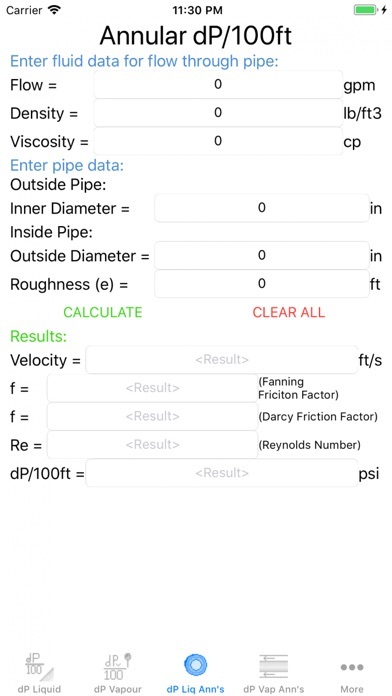 Calculate Velocity, Reynold's Number, and Darcy and Fanning Friction Factors at the same time! 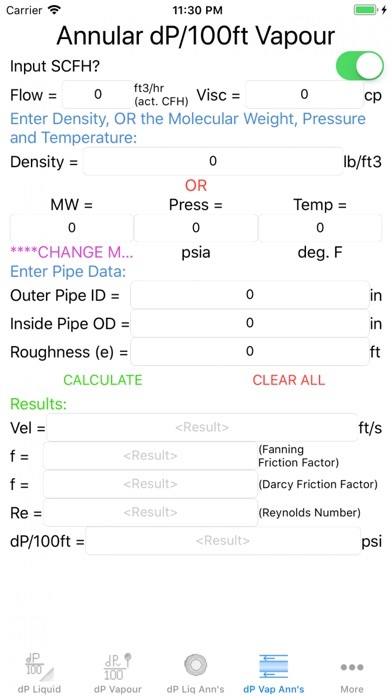 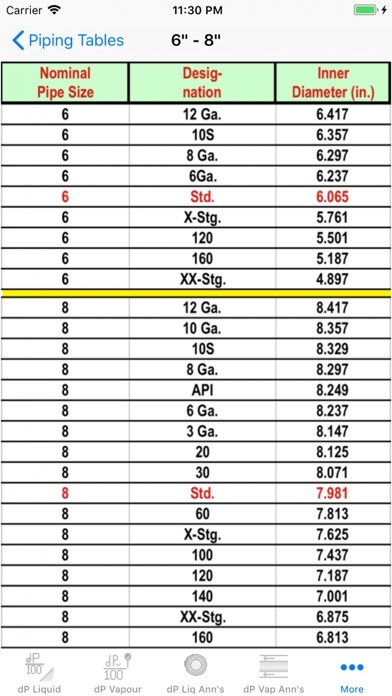 Includes pipe sizing tables for reference, as well as a tool to convert side lengths of a rectangular pipe to the diameter of a circular pipe.